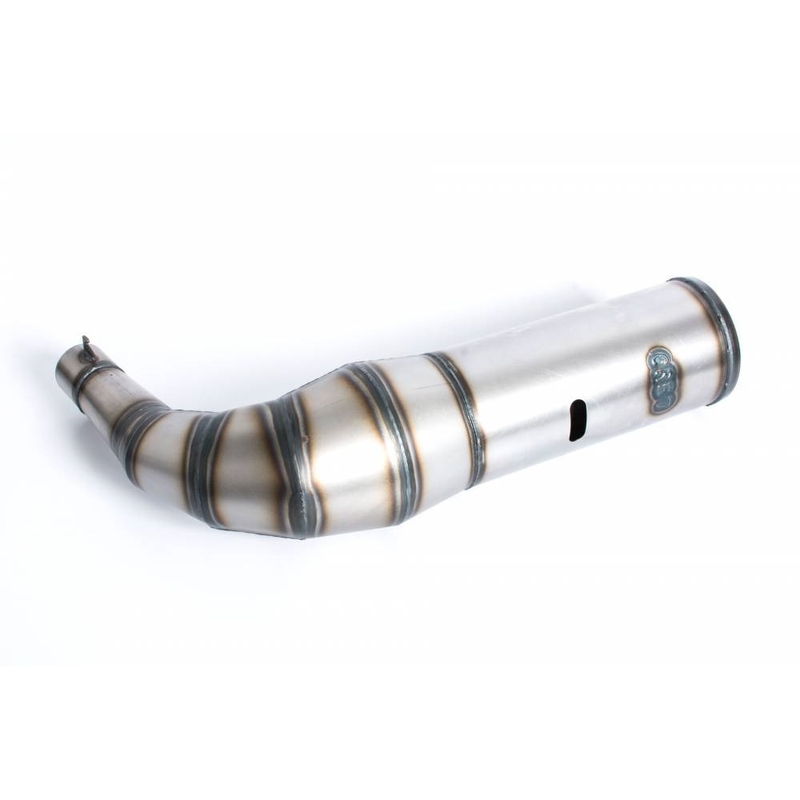 The CRE 7 Exhaust Pipe is known as the crown jewel to KT100 Go-Kart racers. 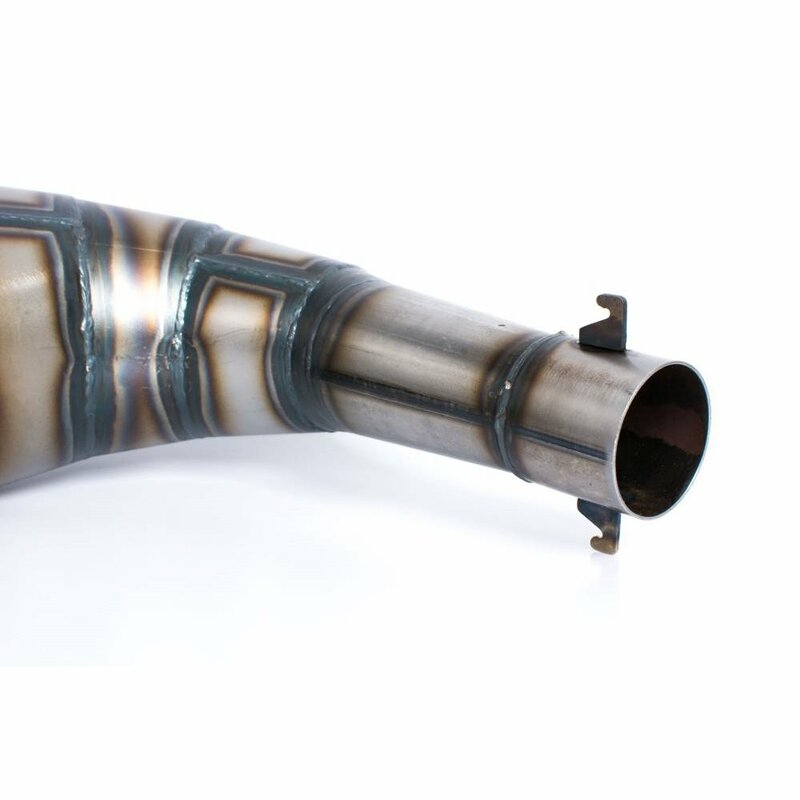 Hours upon hours of dyno time were dedicated to making this the best Yamaha KT100 pipe available. It is a low to mid range pipe for small to medium size tracks. 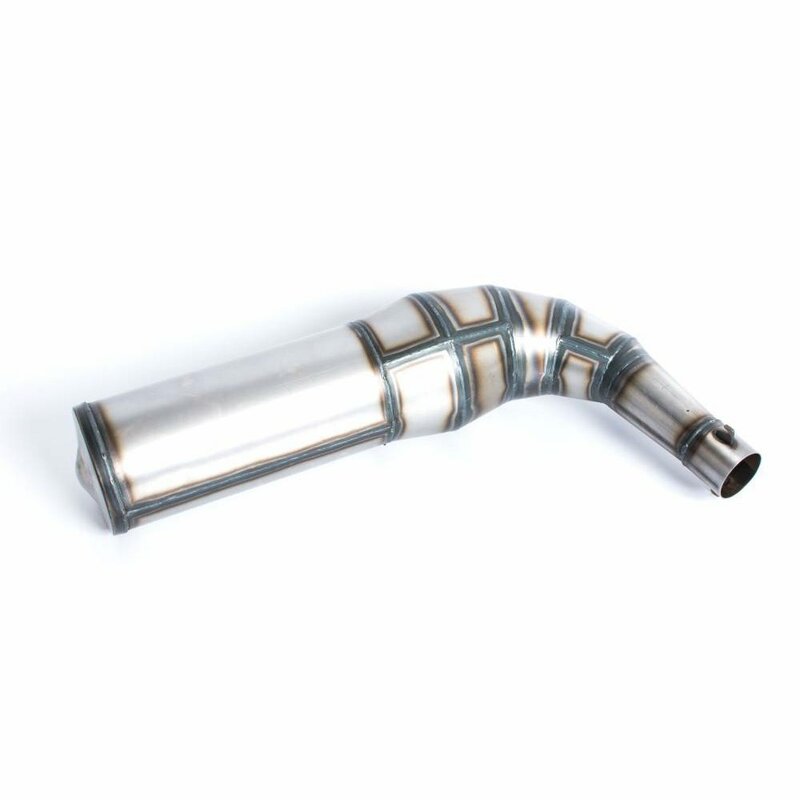 Fine tuning can be achieved by changing your flex length but the base line is 7″ to 7-3/8″ from the piston to the end of the flex pipe. Uses 1-3/4″ OD flex tube.